Air Marshal Hemant Narayan Bhagwat AVSM VM assumed the appointment of Air Officer-in-Charge Administration (AOA) at Air Headquarters on August 1, 2017. 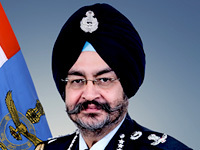 He took over charge from the outgoing incumbent Air Marshal MK Malik AVSM VSM. Air Marshal HN Bhagwat was commissioned into the Administrative Branch of the IAF in Jun 1981. After serving for seven years as an Air Traffic Control Officer in three operational bases of the IAF, the Air Officer underwent training as a paratrooper. He later qualified as Parachute Jump Instructor (PJI) and served as an instructor for fifteen years. During his paratrooping career, he participated in paratrooping exercises in the United States, South Africa, Sri Lanka and Seychelles. 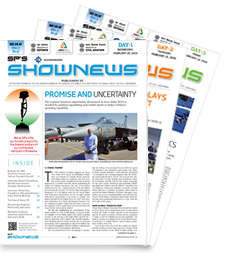 The Air Officer is a graduate of Defence Services Staff College, Wellington and has undergone Higher Air Command Course at College of Air Warfare and Senior Defence Management Course at College of Defence Management, both in Secunderabad. The Air Officer has completed M Sc in Strategic Studies from Madras University and M Phil from Osmania University. 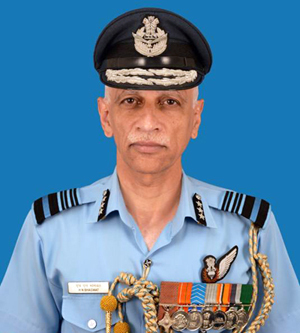 He has held several prestigious appointments which include Chief Adminstrative Officer of a premier fighter base, Commandant of Garud Regimental Training Centre, Chief Personnel Staff Officer at HQ South Western Air Command, Senior Officer in Charge Administration at HQ Western Air Command and Assistant Chief of the Air Staff (Org & Ceremonials) at Air HQ. Prior to assuming the appointment of AOA, the Air Marshal was the Director General (Works & Ceremonials) at Air HQ. The Air Officer was commended by the Chief of the Air Staff in 1999 and was awarded Vayu Sena Medal by the President of India in 2005 for his contribution to the paratrooping field. He has also been awarded the Ati Vishist Seva Medal by President of India for distinguished service of a very high order.